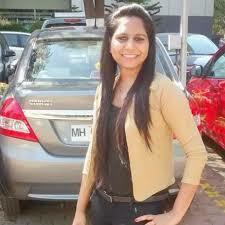 'the one man type gal' rohini becomes friends with a cool and refulgent guy, raj, who has a dark past. the sweet conversations that were someday full of compliments and now full of blunt remarks.. 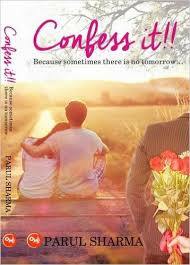 SO GO.. GO AND CONFESS IT..
as the title say confess it coz sometimes there is no tomorrow is a love story and is written for all those people who are madly in love with someone and who want to confess their feelings to their someone special. this book revolves around mainly 3 characters, the protagonist rohini [ a chirpy, one man type gal] who always thought that love was not cup of tea, eventually fell in love with a guy whom she met online. love was not at all in the picture but destiny had it's own plan. rohini fells in love with a guy who was not at all ready to accept her love, while she feels in love heads over heel with someone else . what plans do destiny has in store for her? will she be able to accept her past or will move on with her present? to unfold all the answers of the hidden questions, go through the bumpy ride of 'confess it because sometimes there is no tomorrow'. the way parul has narrated the whole story is commendable. you can easily feel a connection with the characters of the story and instantly you will fell lost. overall, a must read story for all the love birds present out there.